Tom Money, a longtime PSAR member and past President (1984) passed away at his home in Bonita on Jan. 5, 2019, after a courageous fight with cancer. He was 75. Tom was considered a legendary figure at PSAR. 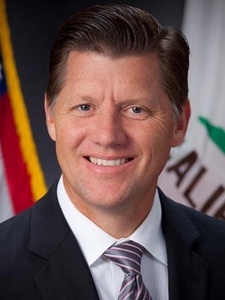 He served as President when the Association was called the San Diego Bay Cities Board of REALTORS® (the Association’s name was changed to PSAR in 1993). “He took great delight in hooking up first time buyers with a home,” said Sherry. In addition to serving as President, Tom served on numerous PSAR committees as a member and chair, including the Government Affairs Committee. 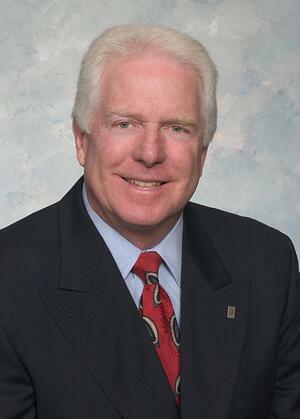 He also served as a California Association of REALTORS® (C.A.R.) Director. 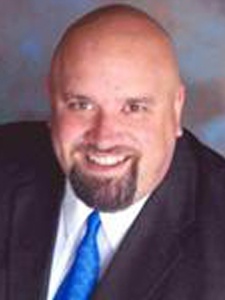 He was a recipient of the PSAR REALTOR® of the Year award. The City of Chula Vista declared Aug, 8, 2018, as “Tom Money Day.” The celebration gathering drew the attendance of five mayors of Chula Vista to honor him. Thomas George Money was born at San Diego’s Mercy Hospital on March 3, 1943. He met Sherry Seagraves, in August of 1970, on a blind date, and they married three years later, Aug. 25, 1973 in Balboa Park. Tom attended local elementary schools and graduated from Chula Vista High School (class of 1961). In high school, he was the photographer for the Spartan newspaper. He contributed a photo of President Dwight D. Eisenhower for the Senior Year Scroll. 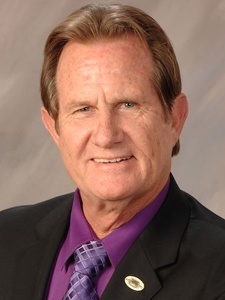 Tom operated Money Realty at 355 Third Ave. in Chula Vista. His office in Downtown Chula Vista holds the longevity record in San Diego County for continuous location as a real estate sales office. The office was opened by his father Mark in 1944, when the company was called Mark H. Money & Associates. Previously, Mark had relocated the family from Wisconsin to work in San Diego as an aircraft mechanic. In 1963, after his father’s passing, Tom, age 28 at the time, joined the family real estate business as a REALTOR® and maintained the same office address since then. Tom’s mother Jane served as broker for the real estate company. In addition to his service to PSAR, Tom was active in the community as a volunteer with a number of service clubs, charities and community organizations. In the 1970s and 1980s, he served on the board of the Junior Chula Vista Chamber of Commerce. He later served on the boards of the Third Avenue Village Association (TAVA) and Chula Vista Chamber of Commerce. 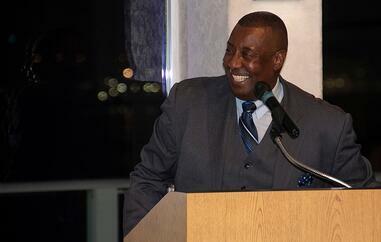 He also served as president of the Chula Vista Kiwanis Club. He also served on an advisory board for Scripps Health. Tom’s passion was sailing. He served on a committee in 1976 to save the Star of India, and then later sailed on the world’s oldest active sailing ship as part of the crew. The Star of India, a full-rigged iron windjammer ship built in 1863, is moored along Harbor Drive in Downtown San Diego and operated by the Maritime Museum of San Diego. Tom also was instrumental in having the America’s Cup trophy on display at Harbor Days, a summertime community event now known as Chula Vista HarborFest. In 1970, Tom was member of the crew who sailed a 100-foot-long, square-rigged, iron windjammer ship (similar to the Star of India) from Tahiti to Sydney, Australia, to commemorate Captain James Cook’s discovery of Australia in 1770. In 1991, at age 48, Tom sailed across the Pacific Ocean, 2,250 miles in 12-and-a-half days, from San Diego to Honolulu, with himself and National City resident John Walton, a member of the Walton family who founded Wal-Mart (John was a son of Wal-Mart founder Sam Walton). A race was being held to raise money for Mercy Hospital and John Walton was building a new style of trimaran sailboats that were lightweight and fast (a trimaran is a multi-hull sail boat that comprises a main hull and two smaller outrigger hulls, or floats, which are attached to the main hull with lateral beams). According to Tom, “I went to John and asked him to sponsor me in this race. He kept asking me questions and then decided to go with me. We finished first by a day-and-a-half, but were declared to be in second place by 15 minutes because of our ship’s handicap. In some races, boats have handicaps just like golfers.” (John Walton passed away on June 27, 2005, in a private plane crash in Wyoming). Tom is survived by his wife Sherry, two daughters, Courtney Money and Colleen Varnum and husband Matt, and two grandsons, Evan and Zach; sisters Susanna Money of San Diego and Roxanne Money Zunich and her husband John of Fresno. He was preceded in death by his parents Mark H. Money and Jane Milke Money. 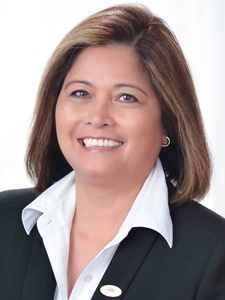 Broker and longtime family friend Mayra Swanson recently took over the real estate business. A memorial service will be held at 3 p.m., Sunday, Feb. 24, at the San Diego Yacht Club 1011 Anchorage Lane, San Diego, 92106. To RSVP for the service, send an e-mail to Mayra at mayra@moneypropertyinc.com, or call her at 619-422-0177. His ashes will be scattered off the coast of Pt. Loma, the family said. Eroding Affordability in 2019 California Housing Market Forecast, says C.A.R. What’s in store for the year ahead in the housing market? The California Association of REALTORS® (C.A.R.) 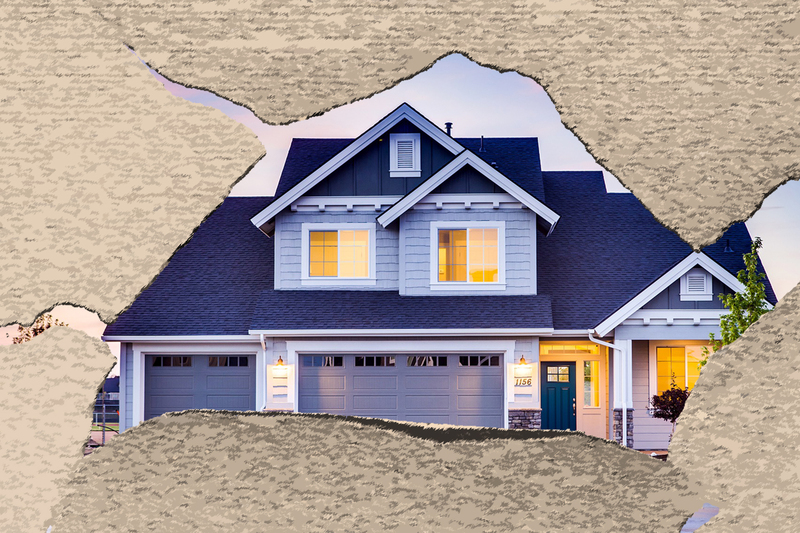 reports that a combination of high home prices and eroding affordability is expected to cut into housing demand and contribute to a weaker housing market in 2019. C.A.R. is projecting a 3.3 percent decline in existing single-family home sales in 2019, down from a projected 410,460 in 2018 to 396,800 in 2019. The 2018 figure is 3.2 percent lower compared to the 424,100 homes sold in 2017. C.A.R. also is forecasting growth in the U.S. gross domestic product of 2.4 percent in 2019, after a projected gain of 3.0 percent in 2018. With California’s nonfarm job growth at 1.4 percent, down from a projected 2.0 percent in 2018, the state’s unemployment rate will remain at 4.3 percent in 2019, unchanged from 2018’s figure but down from and 4.8 percent in 2017. C.A.R. also predicts the average for 30-year, fixed mortgage interest rates will rise to 5.2 percent in 2019, up from 4.7 percent in 2018 and 4.0 percent in 2017, but will still remain low by historical standards. Rising mortgage interest rates coupled with higher home prices in California is expected to mean that only 25 percent of households statewide will be able to afford a median-priced home in 2019, said C.A.R. If the past is any indication, the percentage of households that will be able to afford a single-family home in San Diego County next year will be even fewer. The median home price statewide is forecast to increase 3.1 percent to $593,450 in 2019, following a projected 7.0 percent increase in 2018 to $575,800, according to C.A.R. Outmigration, resulting from the state’s housing affordability issue, will also be a primary concern for the California housing market in 2019 as interest rates are expected to rise further next year. The high housing cost is driving Californians to leave their current county or even the state. According to C.A.R.’s 2018 State of the Housing Market/Study of Housing: Insight, Forecast, Trends (SHIFT) report, 28 percent of homebuyers moved out of the county in which they previously resided in 2018, up from 21 percent in 2017. The outmigration trend was even worse in the Bay Area, where housing was the least affordable, with 35 percent of homebuyers moving out because of affordability constraints. Southern California did not fare any better as 35 percent of homebuyers moved out of their county for the same reason, a significant jump from 21 percent in 2017. The substantial surge in homebuyers fleeing the state is reflected by the home sales decline in Southern California, which was down on a year-over-year basis for the first eight months of 2018. Outmigration will not abate as long as home prices are out of reach and interest rates rise in the upcoming year, said C.A.R. Housing Market Sputters in November, says C.A.R. California home sales continued their downward trajectory trend across the state for the seventh consecutive month in November as prospective buyers continued to wait out on the sidelines, according to the latest housing market report for home sales and prices from the California Association of REALTORS® (C.A.R). November’s sales figure was down 3.9 percent from October and 13.4 percent from November 2017. Homes were selling at a seasonally adjusted annual rate of 381,400 units in November, compared to 440,340 a year ago. November marked the fourth month in a row that sales were below 400,000. Sales in San Diego were down 8.4 percent in November 2018 from October 2018 and 11.0 percent compared to November 2017. C.A.R. said November’s statewide median home price declined to $554,760, down 3.0 percent from $572,000 in October but up 1.5 percent from a revised $546,820 in November 2017. Prices are falling in San Diego as well. The median price in November 2018 was $626,000, down 1.5 percent from $635,500 in October 2018, but still 1.0 percent above last November’s $619,900. 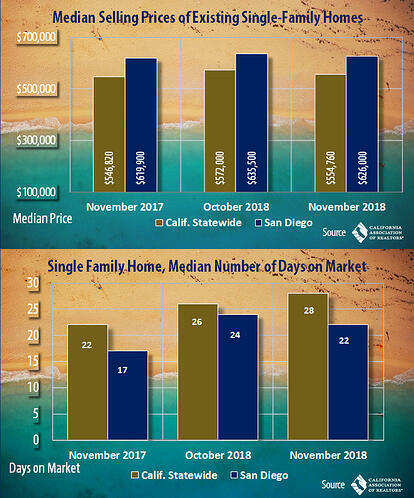 The median number of days it took to sell a California single-family home edged up from 22 days in November 2017 to 28 days in November 2018. 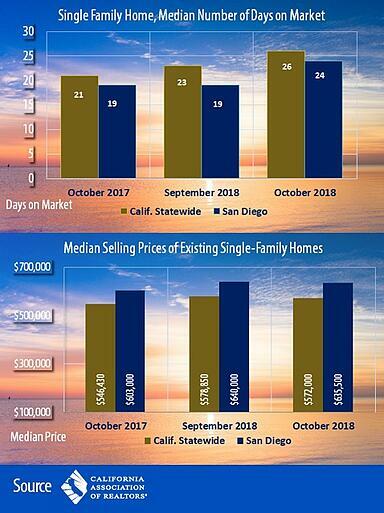 Meanwhile, in San Diego County, the median number of days a home remained unsold on the market was 22 days in November 2018, compared to 24 days in October 2018 and 17 days in November 2017. On a region-wide, non-seasonally adjusted basis, sales dropped double-digits on a year-over-year basis in the San Francisco Bay Area, the Central Coast, and the Southern California regions, while the Central Valley region experienced a relatively small sales dip of 3.9 percent. San Diego leads the nation with the most home price reductions this year. The share of home listings with a price cut grew to its highest level in at least eight years, says a recent analysis from Trulia. San Diego had the most reductions, 20.5 percent, of the 100 biggest metro areas in the United States so far this year. San Diego was tied with Tampa, which also saw 20.5 percent of homes with a price cut. The San Diego metropolitan area has been ranked as the fifth least popular home buying market for millennials in the United States, according to the latest LendingTree report. The company found that San Diego-area millennials only accounted for about 35 percent of the home loan purchase requests for the first 11 months of the year. Tampa was ranked as the least popular market for millennial homebuyer loan requests, followed by Las Vegas, Miami and Orlando. Salt Lake City topped the list for the most millennial home loan requests at 51 percent. It was followed by Minneapolis and Pittsburgh, where nearly half of the requested loans were from millennials. Few millennial renters can afford down payment on a home. According to Apartment List’s 2018 Millennial Homeownership Report, 88 percent of millennial renters in San Diego say that they plan to purchase a home at some point in the future, but just 3 percent expect to do so within the next year, while 37 percent say that they won't buy for at least five years. The survey of 6,400 millennial renters found that while the overwhelming majority of those surveyed would like to purchase a home at some point in the future, far fewer are financially prepared to do so in the near term. Of the millennial renters in San Diego who plan to purchase a home, 59 percent have zero down payment savings, while just 14 percent have saved $10,000 or more, according to the survey. With average rents nearing $2,000 a month, San Diego may be one of the pricier places for millennial renters in the U.S. Despite the cost, however, a survey by the rental platform company Zumper said that only 2 percent of millennials are getting help from their parents for rent. San Diego appears to be the most independent city with only 2 percent of respondents who had their parents help with rent, compared to 24 percent in Detroit. Austin had the second largest proportion of millennials in need at 23 percent. San Diego had the second lowest unemployment rate among California’s most populous metro areas this year between July and September, according to a report released Wednesday by the San Diego Regional Economic Development Corp. San Diego’s third-quarter unemployment rate sat at 3.2 percent, bested only by San Francisco at 2.5 percent. 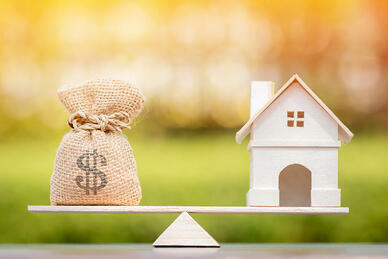 The rates in both cities fell 0.5 percent between the second and third quarters. Compared to the other most populous metro areas in the country, San Diego ranked 10th in the third-quarter unemployment rate. California homebuyers are compromising on price, neighborhood, says C.A.R. The California Association of REALTORS® (C.A.R.) recently conducted a consumer survey of California homebuyers. The survey examined the attitudes and behaviors of real estate consumers. According to its 2018 State of the California Consumer Survey, California’s competitive housing market and low housing affordability are forcing homebuyers to make compromises in their home purchases including price, size, location, and school quality. The survey revealed that 44 percent of buyers bought a more expensive home than they wanted, 33 percent purchased a smaller home than desired, 36 percent purchased a home further from school or work than wished, and 30 percent purchased in an area where schools were of lesser quality. Buyers were not deterred by higher home prices and tight housing supply conditions but waited until their financial situations improved or to save for a down payment. Buyers typically saved for five years, and nearly a quarter of those who purchased a home priced $1 million or higher saved more than 10 years. California’s costly home prices gave nearly one in three home buyers cause to consider purchasing in another state, but buyers ultimately stayed because they liked the city or state they currently lived in or because of their job, family, or friends. Younger buyers and first-time buyers were more likely to consider leaving the state. With the state’s housing prices at 161 percent above the national average, California’s high housing costs are the biggest factor hurting young, middle-class, often minority families. Homebuyers’ preferences varied by age/generation, income, and home buyer status (first-time, repeat, investment buyer, etc.). C.A.R.’s 2018 State of the California Consumer Survey , conducted online between May 9 and July 9, 2018, was designed to understand the process of home buying and selling, as well as the motivation behind renting and owning from the perspective of the California consumer. Surveys were sent to 470,803 consumers ages 18 and older in the state of California, resulting in 6,144 participants, a 1.3 percent response rate. The margin of error was plus-or-minus 1.2 percent at a 95 percent confidence interval. For the buyers section, 1,441 buyers purchased a home in California within 18 months preceding survey participation. 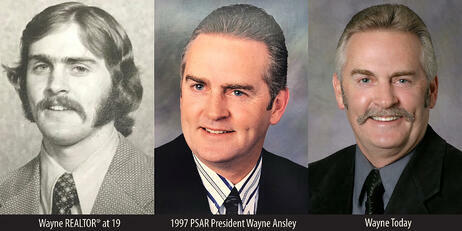 This article is the latest in a series highlighting former PSAR presidents. It was 1973. As a teenager growing up in Chula Vista, Wayne Ansley had long hair, a ponytail and played guitar and keyboard in a rock band. But, then, he realized he had to get a real job. His father Bill, a retired U.S. Army lieutenant colonel, was a real estate broker at the time and encouraged his son to get his real estate sales license. “After I graduated from Anthony’s Real Estate School and received my sales license, my dad gave me $500 to go buy some business suits,” said Wayne. “Then, I joined what was then called the South San Diego Bay Cities Association of Realtors, which later became PSAR (in 1992). I was 19 years old, and I think I was the youngest member ever to have joined the Association, until someone who was 18 years old joined later. After his father Bill passed away at age 61 in 1983, and Wayne got his broker’s license and took over the family business. In 1991, he joined the PSAR board of directors. He also became a California Association of REALTORS® (C.A.R.) Director in 1992, and attended many C.A.R. state conventions on behalf of PSAR. In the 1990s, Wayne served on many PSAR committees, including Community Relations, Grievance, Professional Standards, Government and Political Affairs and Building Operations. 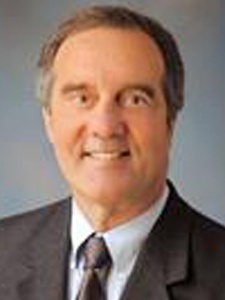 For two years, in 1994 and 1995, Wayne served as board VP. In 1996, he was elected as president-elect. In 1997, he served as president of PSAR. 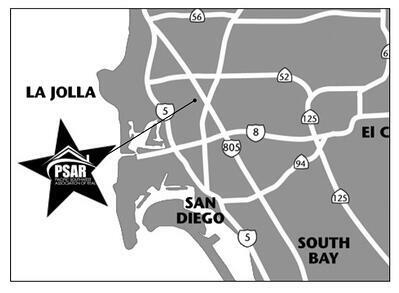 As a member of the PSAR Building Committee in 1992, Wayne played a role in the relocation of the PSAR offices in Chula Vista from “L” Street to PSAR’s current headquarters, a 16,467-square-foot building at 880 Canarios Court. Wayne estimates he has sold more than $100 million of property over his 45-year career. He remains today an active full-time broker. 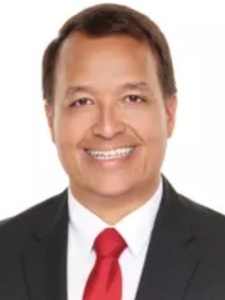 His diversified background in real estate has included residential sales, investment properties (including commercial, apartment and industrial sales and leasing), foreclosure short sales and full-service property management. He also has developed and built several apartment buildings, houses and a condo project. “While previewing or showing properties, I have set-off alarms, broken keys in locksets, accidentally let out dogs and cats and, one time, walked into a master bedroom where a naked lady was in the shower. She screamed at the top of her lungs,” said Wayne. “As a young agent, I had a string of bad luck with several unreliable cars. I had a Mercury Capri sports car with a broken passenger seat that was propped up with a piece of wood. I picked up a buyer from Japan who had a camera hung around his neck. I hit a bump in the road and the piece of wood came loose and the buyer went flat on his back and got hit in the head by his camera. Over the years, Wayne said his other cars have included an Oldsmobile Delta 88 and a Cadillac Sedan Deville. He then purchased his dream car, a BMW 740 I-L.
Wayne is especially proud of his contributions as a member of the Pilgrim Lutheran Church. As a volunteer, he donated more than 3,000 hours over the past year-and-a-half and helped the church sell its previous three-acre property at 497 “E” St. for $5.5 million (escrow closed in August). The church has since merged with their sister church located on a larger 8.5-acre site at 810 Buena Vista Way to become the Victory Lutheran Church and Christian Academy. “It was the most difficult transaction I ever had, but also the most gratifying because I was able to give back to the Lord in gratitude of 45 years of success,” he said. Construction recently began on their new church project. 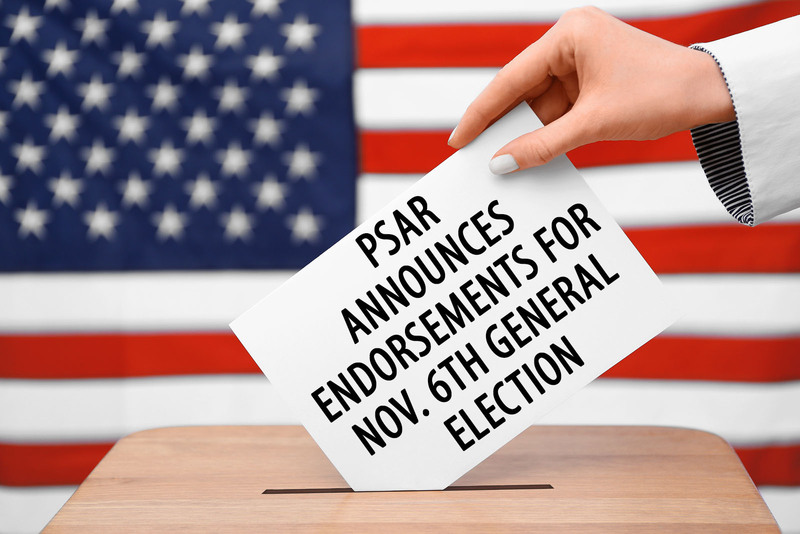 PSAR’s Government Affairs Committee endorsed a number of local candidates who were winners in this week’s November 6th general election. 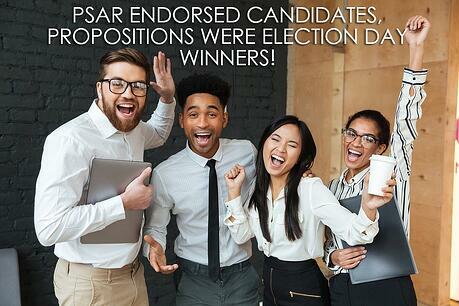 Also, PSAR was victorious in positions regarding a local proposition and statewide propositions. 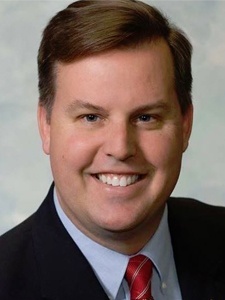 PSAR endorsed Brian W. Jones who won the seat to represent the State Senate 38th District. With 100 percent of the precincts reporting, Jones drew 56 percent of the vote. 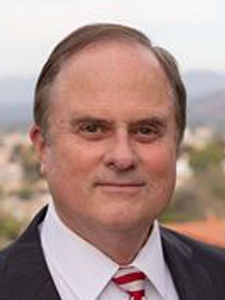 Jones, a three-term Republican Assemblyman and current Santee city councilman, succeeded Joel Anderson (R-Alpine), who was termed-out. The massive 38th District, with nearly 1 million residents and covering about 30 percent of San Diego County, stretches from Lemon Grove to Fallbrook, from Borrego Springs to Alpine and includes most of eastern and northern San Diego County. It encompasses eight municipal cities, including Lemon Grove, Santee, La Mesa, El Cajon, Poway, Escondido, San Marcos and San Diego’s Scripps Ranch community, as well as the communities of Lakeside, Ramona and Julian. As an assemblyman, Jones has always been a reliable vote for policies that protect homeownership and private property rights. PSAR also supported the successful reelection of three city mayors, including Mary Casillas Salas in Chula Vista, Bill Wells in El Cajon and Mark Arapostathis in La Mesa. Salas won with 70.1 percent of the vote. 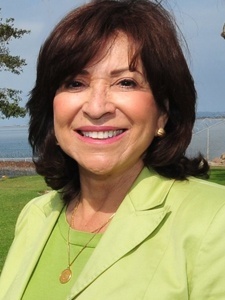 She has been an elected official since 1996, beginning with the Chula Vista City Council followed by the State Assembly. She became mayor in 2014. Wells, also an incumbent, won handily with 66 percent of the vote. 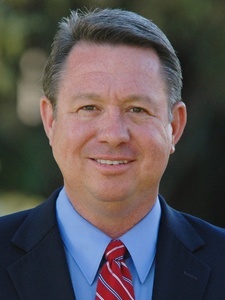 Elected to the City Council in 2008, Wells has been the city’s mayor since 2013. Arapostathis ran unopposed for his mayor’s seat in La Mesa. He was elected as mayor in 2014. 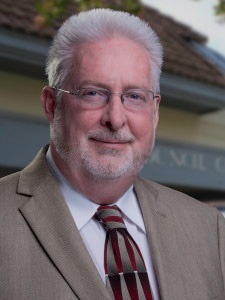 Other PSAR candidates who were successful in their city council races included: John McCann, Chula Vista; Ron Morrison, National City; Gary Kendrick, El Cajon; Bill Baber, La Mesa; Ronn Hall, Laura Koval, Rob McNelis, Santee; Jerry Jones, Lemon Grove. 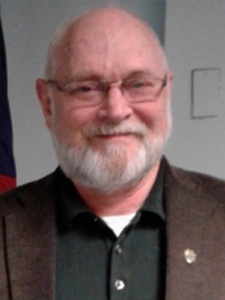 In a special district race that drew a PSAR endorsement, Dan McMillan was reelected to the Helix Water District board of directors. PSAR organized a massive campaign to defeat of Measure “W,” a rent control initiative in National City that drew 54 percent of “no” votes. In the city of more than 60,000 residents, about 70 percent of residents are renters. National City voters said they did not favor the city government creating new costly bureaucracy which would limit how property owners manage their rental units . Most econommists agree that the measure would have eliminated incentives for property owners to fix up their units and discourage new housing construction. PSAR believes rent control reduces the quality and quantity of housing. Typically, rent control leads to reducing available rentals and landlords skimping on repairs. Rent control eliminates incentives for landlords and property owners to fix up, or invest in, their units, as well as discourages new housing construction and decreases the number of available rental units. In statewide propositions, PSAR agreed with the California Association of REALTORS® (C.A.R.) in its positions on Propositions 1, 5 and 10. Prop. 1, the Housing Programs and Veterans’ Loans Bond that was supported by C.A.R., passed by a 54.2 percent margin. As a result, the state will borrow up to $4 billion in general obligation bonds for housing-related programs benefiting veterans. The vast majority of the bonds, about $3 billion, will be set aside for various types of housing programs. The biggest share, or $1.5 billion, will go toward the construction and rehabilitation of permanent and transitional rental housing and apartments for California households who earn of up to 60 percent of the area median income. The second biggest portion of the $3 billion, about $150 million, will be earmarked for cities, counties, transit agencies, and developers to build higher density housing near transit stations. Prop. 5, the Property Tax Transfer Fairness Initiative that was supported by C.A.R., was defeated (42 percent voted “yes,” 58 percent voted “no”). Voters said no to expanding property tax savings for older homeowners. If approved, Prop. 5 would have allowed homeowners over ages 55 to transfer their lower property tax rates with them when moving to a newly bought home anywhere in the state. Prop. 5 was initiated by C.A.R. The measure qualified for the ballot after C.A.R. submitted nearly 1 million voter signatures to the Secretary of State’s office. Prop. 10, the Local Rent Control Initiative that was opposed by C.A.R., was defeated resoundingly (62 percent voted “no,” 38 percent voted “yes”). C.A.R. opposed Prop. 10 because it would have allowed for the expansion of rent control across California. The initiative would have repealed a 1995 law, the Costa-Hawkins Rental Housing Act, that limits county and city governments’ ability to slow rent hikes. It would have overturned an existing state law blocking cities from imposing rent control on rental units built after 1995 and on all single-family homes and condominiums. Repealing the longstanding Costa-Hawkins Rental Housing Act would have exacerbated the housing crisis, eventually allowing local governments to impose draconian rent control measures. If approved, unelected bureaucrats would have overseen rent control ordinances and determine how much landlords could charge tenants for renting apartments and houses. The election result means those prohibitions remain in place. The PSAR Government Affairs Committee recommended the endorsements to the PSAR board of directors, which then ratified the recommendation. The Government Affairs Committee is involved in political advocacy and public policy and its impact on homeownership and private property rights. PSAR’s Government Affairs Committee recommended the endorsements to the board of directors, which then ratified the recommendation. The Government Affairs Committee is involved in political advocacy and public policy and its impact on homeownership and private property rights. “No” on Measure “W,” Rent Control in National City. If approved, Measure W would put a 5 percent limit on annual rent increases and ban certain types of evictions, making it tougher to evict problematic renters. “Yes” on California Proposition 5, Property Tax Transfer Fairness Initiative. If approved, Prop. 5 would allow homeowners over ages 55 to transfer their lower property tax rates to a newly bought home anywhere in the state. A couple, for example, could sell a home assessed at $250,000 for $750,000 then buy another property for $750,000 and continue to pay property taxes at the $250,000 valuation. If the new home cost more or less, property tax would be adjusted based on simple formulas that continued the property tax breaks that residents enjoyed with their previous homes. PSAR believes this measure would create new homeownership opportunities by generating more sales of single-family homes in existing neighborhoods. This will benefit young families at a time when California faces a severe shortage of homes for sale. Prop. 5 is actually a smart idea that will both give older people more flexibility with their lives and introduce liquidity to a housing market that could badly use it. The revenue it would cost local government is relatively small. Also, Prop. 5 is a common sense way to expand the benefits of Proposition 13 protections while providing more affordable housing. Prop. 5 was initiated by the California Association of REALTORS® (C.A.R.). C.A.R. qualified the measure for the ballot after it submitted nearly 1 million voter signatures to the Secretary of State’s office, indicating strong voter support. Vote “Yes” on Prop. 5. “No” on California Proposition 10, Local Rent Control Initiative. If approved, Prop. 10 would overturn an existing state law blocking cities from imposing rent control on rental units built after 1995 and on all single-family homes and condominiums. Repealing the longstanding Costa-Hawkins Rental Housing Act would exacerbate the housing crisis, eventually allowing local governments to impose draconian rent control measures. If approved, unelected bureaucrats would oversee rent control ordinances and determine how much landlords could charge tenants for renting apartments and houses. PSAR believes Prop. 10 is a flawed rent control initiative that would make housing more expensive, not less, and worsen the housing crisis. Vote “No” on Prop. 10. In addition to positions on Prop. 5 and Prop. 10, C.A.R. is supporting Proposition 1, the Housing Programs and Veterans' Loans Bond. A “yes” vote on this measure would authorize the state to borrow up to $4 billion in general obligation bonds for housing-related programs benefiting veterans. If approved, additional affordable housing would be provided for veterans. The vast majority of the bonds, about $3 billion, would be set aside for various types of housing programs. The biggest share, or $1.5 billion, would go toward the construction and rehabilitation of permanent and transitional rental housing and apartments for California households who earn of up to 60 percent of the area median income. The second biggest portion of the $3 billion, about $150 million, would be earmarked for cities, counties, transit agencies, and developers to build higher density housing near transit stations. The remaining $1 billion would be earmarked for veterans participating in a home loan program. In addition to C.A.R., Prop. 1 has support from major California newspapers, including the San Francisco Chronicle, Los Angeles Times, and Sacramento Bee, as well as the League of Women Voters and Democratic state lawmakers. The Pacific Southwest Association of REALTORS® (PSAR), a 2,600-member trade group for San Diego-area REALTORS®, offers educational training, advocacy and other services and resources to its REALTOR® members. Founded in 1928, PSAR has played a significant role in shaping the history, growth and development of greater San Diego County. The Association maintains a leadership role in the industry, empowering REALTORS® by leveraging our collective strength so they may serve homebuyers and sellers and the greater community. For more information, visit www.PSAR.org.